Recently, a class action lawsuit was filed against the American jobs website The Ladders. To those of us who have been following the Ladders controversy for some time, the case comes as no surprise but while investigating the details of the complaint, I came across an online discussion between job seekers who were assessing a number of other careers websites. “LinkedIn is just as bad,” one said. “Yes, also a total scam,” agreed someone else. The conversation carried on in this vein and I’ve seen and heard it repeated elsewhere. This attitude is a real shame. 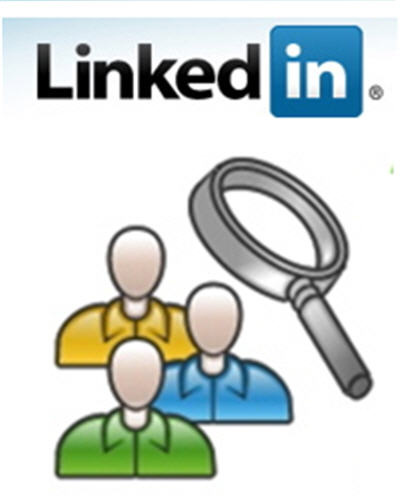 LinkedIn is far and away the most useful job search website in the world and it’s totally free. (Yes, you can pay to upgrade your account, but there’s no need to do this as most of the site’s features are available free of charge). In both senses, it bears no relation to The Ladders. I would urge people to stay away from the Ladders for the reasons given in the article linked above. I encourage my clients to spend very little time (if any) posting their resumes to job boards such as Monster.com or Careerbuilder as these sites no longer add much value to the job search. But it’s lazy thinking to decide that all websites are useless just because some websites are not effective. If you create a powerful profile on LinkedIn (with a strong headline and a good photo), and use the site actively and effectively, you will gain access to job opportunities you wouldn’t otherwise find. That’s just a fact. If you’d like to learn more about using LinkedIn, as well as other creative job search strategies, I’ve collected some of my best advice here in a series I called “The Smart Job Search.” I hope it helps and let me know if you have any questions by leaving a comment or shooting me an email (address to the left in the white bar). I would second everything said about The Ladders – this product seemed a complete waste of time. We recruit for marketing jobs and did try the site out with no success and a lot of unecessary sales rhetoric from them! As stated, LinkedIn is the single most powerful tool you can use when considering a new role (short of directly contacting potential companies, although naturally it is better to be approached rather than approach!). Monster and sites like this do perform, yet from experience and feedback from our candidates, they will also attract a lot of undesired attention from less principled agencies. Thankfully for the jobseeker, more and more hiring companies are now approaching people directly on LinkedIn, so the need for a strong, relevant profile is important… as mentioned above. LinkedIn works really well now, yet in a few years it will decline unless its nature changes. Already it is being used as a source of leads for sales organisations. Over time more senior professionals are going to become upset with these approaches and leave the site, making it a less useful tool for genuine recruiters. However, at present it is THE place to market yourself, so spend time developing your profile and gaining as many (relevant) recommendations as you can. While LinkedIn does not suffer from the “same” issues as TheLadders and their ilk, it is also seriously flawed as a serious job search tool. The primary problem with LinkedIn is the “market for lemons” phenomenon. Basically, because the vast majority of networks on LI are low quality (and trending ever more towards even lower quality), prospective employers are forced to assume that even the best profile is “padded”. I’m currently with one of the top software companies, and our internal recruiting training specifically covers the perils and issues associated with sourcing anything beyond entry/intermediate level candidates or consultants through LI. For senior-level or executive roles, LI is entirely worthless. The reason is simply because those networks are invariably diluted with a sea of people trying to sell their services or goods to people-with-budgets. At this level, LI is really more like Zillow than a serious networking or job search site.